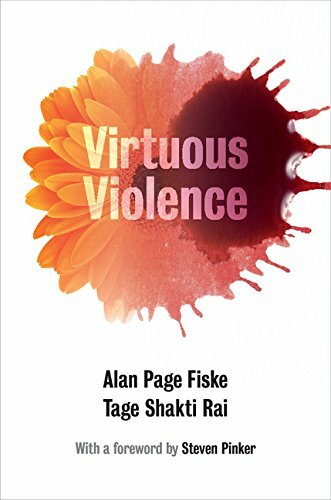 presents a wide-ranging exploration of violence across different cultures and historical eras, demonstrating how people feel obligated to violently create, sustain, end, and honor social relationships in order to make them right, according to morally motivated cultural ideals. 100 top public intellectuals in both years the poll was carried out, 2005 and 2008; in 2010 and 2011 he was named by Foreign Policy magazine to its list of top global thinkers. His research in cognitive psychology has won the Early Career Award (1984) and Boyd McCandless Award (1986) from the American Psychological Association, the Troland Research Award (1993) from the National Academy of Sciences, the Henry Dale Prize (2004) from the Royal Institution of Great Britain, and the George Miller Prize (2010) from the Cognitive Neuroscience Society. He has also received honorary doctorates from the universities of Newcastle, Surrey, Tel Aviv, McGill, and the University of Tromsï¿½, Norway. He was twice a finalist for the Pulitzer Prize, in 1998 and in 2003. On May 13, 2006, he received the American Humanist Association's Humanist of the Year award for his contributions to public understanding of human evolution.